Congressman David Schweikert (R-AZ) gives his opinion on the State of the Union address and redistricting in Arizona. Schweikert says the State of the Union should have had more meat and opened up honest communication with citizens about issues in Medicare, Medicaid, and Social Security. February 14, 2012 is Arizona’s 100th birthday. To celebrate our state’s centennial, KJZZ's Fronteras: the Changing America Desk reporters want to take a look back at what’s made this state special. WASHINGTON (AP) — Gabrielle Giffords has resigned from the House with a standing ovation from her colleagues, more than a year after she was gravely wounded by a would-be assassin.The Arizona Democrat formally resigned Wednesday after a series of tributes from her colleagues. After the Tucson Unified School District voted to cancel its Mexican American Studies program, some students decided to push back by skipping classes and having their own teach-ins.It’s after school at the El Casino Ballroom on Tucson’s southside. The last bill sponsored by Congressman Gabrielle Giffords will heard in the U-S House of Representatives this morning. The measure toughens penalities for those caught smuggling drugs across the border in ultralight aircraft. Arizona’s Independent Redistricting Commission says it needs more money. The IRC has racked up hundreds of thousands of dollars in legal fees over the past several months, and more lawsuits may be coming. After Tuesday’s State of the Union Address, President Obama heads west to five states that will be key to his re-election next year. One of his first stops -- Wednesday afternoon -- will be in the Phoenix area. Arizona has lost more than 27,000 registered voters since the fall, and about 63 percent of them were Democrats. From Phoenix, KJZZ’s Mark Brodie reports. MARK BRODIE: The new voter registration numbers released by the Secretary of State’s office show approximately 3. The northwest Valley has a new state senator. Republican Representative Judy Burges was sworn in Monday to replace former Senator Scott Bundgaard. JUDY BURGES: … And that I will faithfully and impartially discharge the duties, of the office of Arizona State Senator, of Arizona State Senator. The thousands of Arizona homes now sitting empty, in the wake of the real estate slump, have created some new jobs. Some property owners are hiring caretakers to house-sit for them and protect their investments. Democratic lawmakers will introduce legislation this week to repeal Arizona’s controversial immigration law, SB 1070. But Republican legislators say any attempts will be dead-on-arrival. From Phoenix, KJZZ’s Paul Atkinson reports. Rep. Gabrielle Giffords’ planned resignation will set off a chain of elections to name a new member of Congress from southern Arizona by the end of July. KJZZ’s Al Macias reports. The Secretary of State’s office says state law requires the governor to call a special primary and general election within 72 hours after Representative Giffords resigns Governor Brewer has said she expects the special primary to take place in April with the special general election in June. Congresswoman Gabrielle Giffords announced Sunday that she will resign from Congress. She said she needs more time to heal from last year’s assassination attempt. From Tucson, Michel Marizco reports. Luke Air Force Base is one step closer to receiving at least 72 new F-35 Joint Strike Fighters. From Phoenix, KJZZ's Terry Ward reports.Arizona Sen. John McCain has been a leading proponent of Luke as the new home for the F-35. Arizona’s Secretary of State says private fundraising to bring two World War II-era guns to the state has been slow. But, he expects it to pick up in the coming months. From Phoenix, KJZZ’s Mark Brodie reports. A new public opinion poll shows Arizonans are increasingly dissatisfied with the Occupy Wall Street Movement and the Tea Party. KJZZ’s Peter O’Dowd reports.PETER O’DOWD: Behavior Research Center Pollster Jim Haynes says the our growing displeasure for these political movements is equal opportunity. Arizona’s contentious medical marijuana law is moving closer to full implementation. A ruling in Maricopa County Superior Court this week struck down several rules about who can operate marijuana dispensaries. A proposed state election law aims to lift the veil of secrecy for organizations created to influence the outcome of elections. 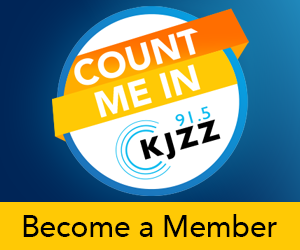 As KJZZ’s Paul Atkinson reports from Phoenix, the law would force the disclosure of donors who currently can remain anonymous. KJZZ's Dennis Lambert sat down with Arizona Highways Editor Robert Stieve to discuss the publication's Issue of the Century. Arizona’s unemployment rate was flat last month, staying at 8.7 percent. From Phoenix, KJZZ’s Mark Brodie reports. MARK BRODIE: The state lost 3,000 jobs in December, adding 4,100 private sector positions.